The Soil, a 4-member acapella singing group strives to fuse their voices to deliver melodic and harmonious messages that are aimed at uplifting and healing souls all around the world. The Soil claims they are simply channels of the songs that they believe come to them from a sacred place where they just serve as mediums that help carry the message through. Defined as Kasi Soul, the group’s music features (in a contemporary township style), an eclectic mix of musical genres such as jazz, hip hop, Afro-pop and Afro-soul). The group’s musical style is evident in its rhythmic vocal bass line, with constant beat boxing – a distinct feature in the music – whilst the remaining voices contribute to the choral and polyphonic accompaniment. The first member of the group exists in a spiritual form as `The Creator of all’. 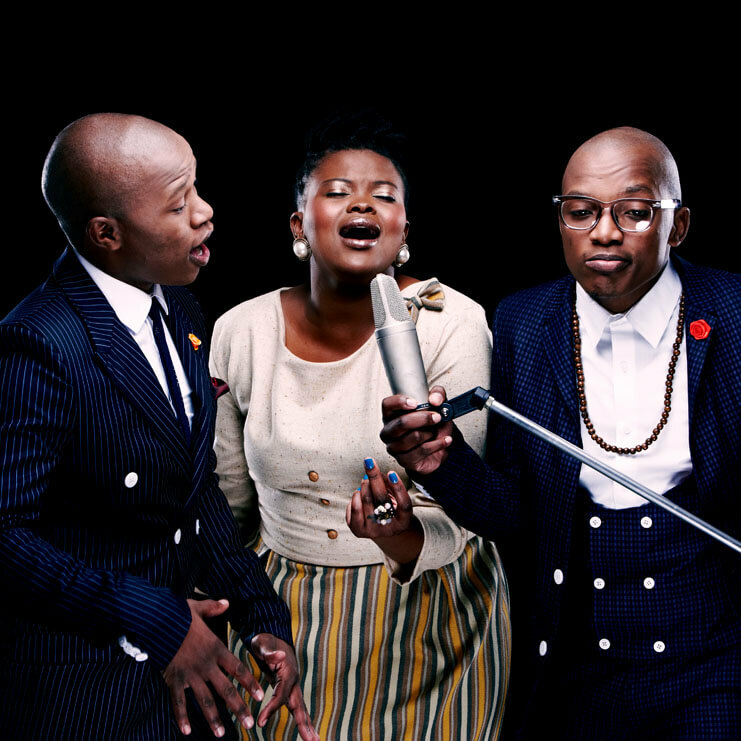 The other three members of the group take a physical form: Buhlebendalo Mda, Luphindo Ngxanga, and Ntsika Fana Ngxanga, who are occasionally also supported by two backing vocalists, Asanda and Tshwarelo. Their music is a culmination of years of dedication, hard work and a passion for the art. In the past 7 years The Soil has graced stages of the most renowned events such as the Standard Bank Joy of Jazz, Grahamstown Arts Festival, Jazz by the River, as well as theatre stages of the Nelson Mandela Theatre as well as the Catalyst Theatre in Cape Town.